Designed by Andy Carlson. 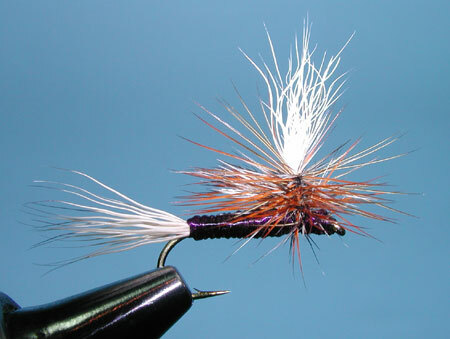 The Purple Haze is a variation of the Parachute Adams. 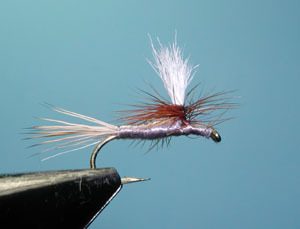 It is used to match Blue Wing Olives, Mahogany Duns, Green Drakes, and Tricos. Andy guides on the Bitterroot River in Montana and owns Bitterroot Anglers in Stevensville, Montana. This fly is solely distributed by Montana Fly Company and sold through a number of local dealers throughout the Sierra.